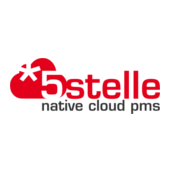 5stelle* is a native cloud PMS which decisively improves your hotel management by freeing up your time and increasing your potential. Your reception always at hand: thanks to the cloud technology, 5stelle* enables you to connect to your facility wherever you are, even using your smartphone or tablet. Full control of online sales via OTA and on your website: Overbooking is no longer frightening as the 5stelle* planner is perfectly integrated with OTAs and Booking Engine. Easily manage all the complexity of online sales with one tool. 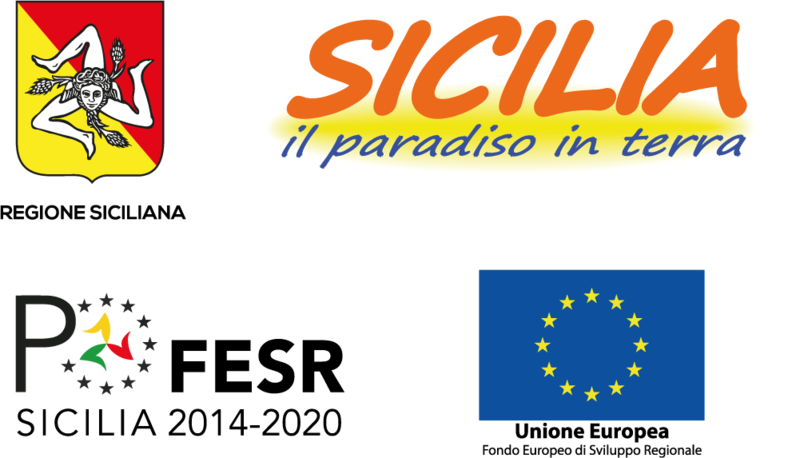 Guaranteed savings: 5stelle* does not include licence fees and has no limitations on the number of users, only one all-inclusive annual fee in proportion to the number of rooms. Hardware Free: with 5stelle*, the hotel does not have to invest in hardware, all you require is a laptop connected to the internet. In addition, installation and training is quick and easy, so you are saving more than just money. This year at the BTO, you can try our Touch Tools – Pocket PMS, POS mobile, Housekeeping mobile – and experience in person all the benefits only native cloud technology can provide, both in terms of collaboration and productivity. 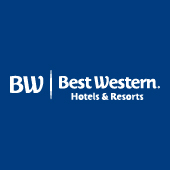 Best Western is the leading hotel group in Italy with 160 hotels in over 100 locations throughout the country. Ideal solution for hospitality entrepreneurs as the members play a central role. They are able to fully capture the personality of every hotel, and to give each visibility and results. The network counts 4,200 hotels in 100 countries worldwide. Best Western’s keywords are innovation, design and custom solutions, all at the service of its Members. The strength of the Best Western brand comes from the marketing partnerships and the global distribution that can guarantee real advantages to the individual hotel, which could not otherwise be able access. Bookassist® is The Direct Booking Expert™. The company develops and manages award-winning digital strategies for hotels to help them build brand online, drive direct bookings, enhance ancillary revenue and improve their profitability while reducing dependence on third parties. 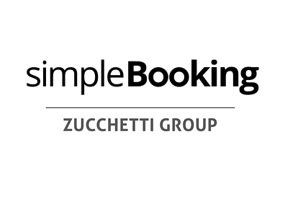 With over 100 staff at offices in Dublin, Rome, Madrid, Vienna, Munich and Prague, the company is a three-times winner of the World’s Leading Booking Engine Technology award. NEXTEAM S.r.l. 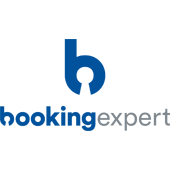 created the in 2006 "Booking Expert" brand with the idea of specializing in hotel software development and hotel chain consulting. With the direct knowledge of hotel owners and thanks to the IT technology and enthusiasm that it has been since ever characterized, designs and develops innovative and efficient solutions for hotel facilities. After more than 10 years, "Booking Expert" has become the technological reference point for hotel and hotel chains. Choice Hotels is one of the largest lodging franchisors in the world with more than 6.900 hotels, representing more than 560.000 rooms, in over 40 countries and territories. 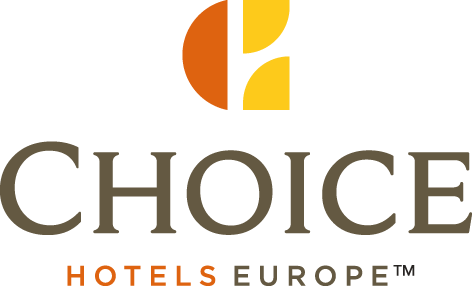 With over 400 hotels, Choice Hotels is represented across Europe under the Comfort, Quality, Clarion and Ascend Hotel Collection brands. Choice Hotels offers the Choice Privileges® rewards program. With more than 39 million members worldwide, is one of the fastest growing hotel loyalty programs in the travel industry. Ciaomanager is The Smart Solution to Manage Hospitality. Manage your hotel from any device and wherever you are, get reservations from your website and achieve record-breaking goals. Do you want to be a bureaucrat and sort out paperwork or pamper your guests and earn more? Do you offer just a clean bed or an unforgettable experience? In the first case you have a banquet at the “lemons market”, your customers do not see your difference while comparing endless alternatives, they only choose you if you make bargain prices, in a perverse spiral of discounts, cost cuts, waning quality, stressful and intoxicated work environment, bad reviews. If you offer an unforgettable experience, you enormously increase the value for your guests. You have already invested a lot on your hotel and on your staff: it’s time to make your passion more visible to all potential customers. Do you sell at the right price at the right time to the right customer? Or do you entrust yourself to fate and wait for your accountant to sum up? Thanks to the Internet, the Web and IT services, the opportunities to increase profits by enhancing your quality are always greater. Difficult to think of a more favourable starting context. Understanding how to sell in the best way is one of the most complex issues you face. Competition is increasingly ruthless, complication increases, you risk losing the thread of your prices and your rules and priorities. Rely on a scientific method: continuously improve and learn, bring your structure to its full potential and achieve record goals. 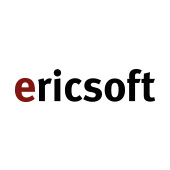 Since 1995 Ericsoft provides highly specialized technology solutions for the hospitality industry. Evols è un’azienda italiana specializzata nel software per l’ospitalità e la ristorazione, scelta da più di 1500 clienti su tutto il territorio nazionale. Attiva già nel mercato da diversi anni, a gennaio 2017 Evols viene acquisita da TeamSystem, società italiana leader nello sviluppo e nella distribuzione di software e servizi. Il nuovo assetto societario consente ad Evols di beneficiare della grande forza commerciale e della spinta tecnologica altamente innovativa di TeamSystem. 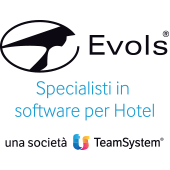 Evols si presenta oggi al mercato con una soluzione gestionale di ultima generazione, ALYANTE Hospitality, basata su tecnologia POLYEDRO, la piattaforma di collaboration di riferimento del Gruppo TeamSystem. L’azienda offre una risposta integrata e completa alle esigenze di rinnovamento tecnologico dei professionisti dell’ospitalità, grazie ad un ventaglio di prodotti che spaziano dai software di gestione alberghiera, alle soluzioni che permette di ottimizzare le vendite online. L’offerta Evols è arricchita da strumenti per la gestione della propria reputazione online, da servizi di consulenza specializzata, corsi di formazione, realizzazione di siti web e consulenza SEO e SMO. 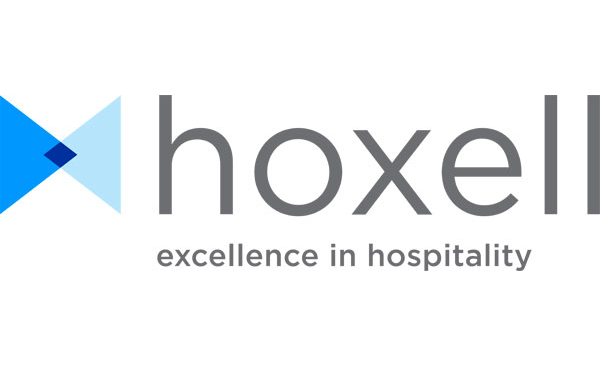 Hoxell is an innovative work system for excellence in hospitality standards. It combines software and people to improve guest satisfaction and grow customer loyalty through staff empowerment. Perfectly interfaced with your PMS, our platform enables a deep interaction between a hotel’s guests and staff, providing outstanding customer service by constantly engaging with them at multiple touch-points, including: the pre-arrival, the hotel stay and the post departure stage. Hoxell lets hoteliers monitor the operational workflow of the whole hotel in real time: from reservation, online check- in and room customization to housekeeping and concierge, including staff communication and communication with guests (mail & SMS). 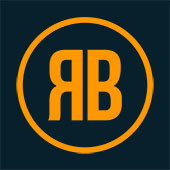 The benefits are: higher guest satisfaction, improved online brand reputation, better revenue management (more revenues). Hotel Direct-Booking Strategies with zero commission costs. 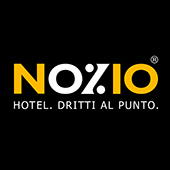 More than 2.000 successful projects in the last 20 years define Nozio as an Authority in the Italian Hotel Marketing scenario. We achieve success through a time-tested but still evolving program called – ATTRACT» CONVERT» SHARE – and the most advanced tools to grant effective Distribution, Visibility and Conversion. Are you trying to achieve the optimal occupancy rate? Do you want to increase the revenue from Direct Bookings? Do you need an effective way to promote your Hotel and reduce commission costs? Our team of certified professionals is at your disposal to analyze your needs and provide advice. From today, planning your trips will be easier and faster than ever – no matter the distance! With nugo,you need onlyindicate the origin and destination address to choose the door-to-door itinerary that best meets your mobility needs among all possible solutions and combinations of means of transport and fares. Once your trip is defined, click once to buy all tickets and make all bookings. Render your mobility experience unique. The more the App knows about you, the closer the proposed travel solutions will be to your preferences. We are a start-up that grew out of the experience of a large international industrial group. Our platform aims to be the largest transport showcase at the national level, already boasting over 200 partners. With nugo you can book and buy trains, buses, car and bike sharing, taxis and much more. Oscar is an innovative software platform that evolved over the years thanks to a valuable contribution of many hoteliers. Oscar conceives WiFi as a "means of communication" through which an hotel is able to talk with its guests and vice versa. The key points of the package are the following: sociability, customer profiling, local offers and upselling services, satisfaction monitoring, surveys, follow-up with request for review and also an "emotions diffuser". Designed to be customer focused, the platform "speaks" 8 languages including Chinese, Russian, and Brazilian and allows "Social Login" to 13 social networks. The classics – Facebook, Google, Twitter, Instagram, etc. – have been joined by Chinese sites QQ, Weibo, Tencent, Renren as well as the Russian site VKontacte. Simple and very flexible both in implementation and use, the system is currently operating in more than 900 accommodation facilities of various types throughout Italy. 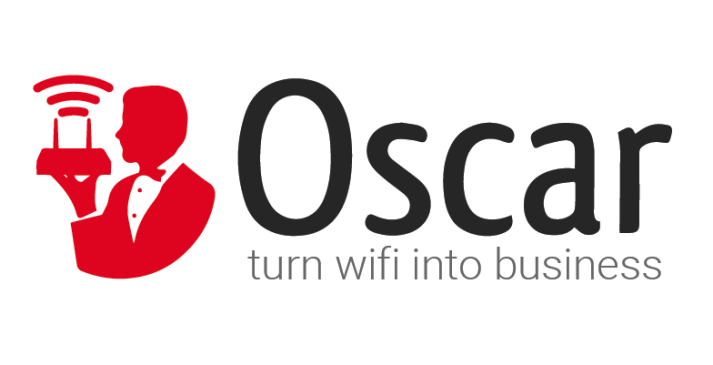 Oscar WiFi is developed and distributed by InWYA. 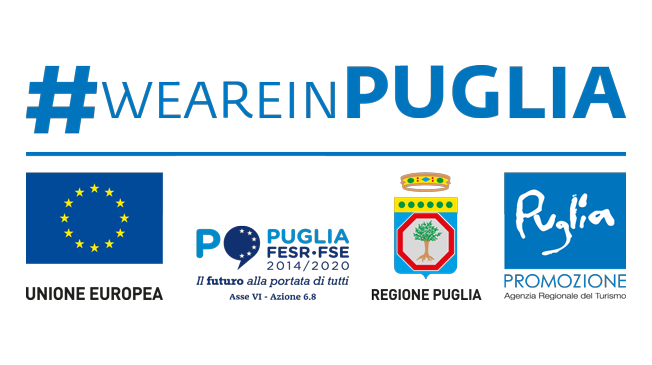 Pugliapromozione is an operating entity of the Puglia Region and implements the regional policies in terms of promoting the unified image of the Region as well as local tourism. It has autonomy over its organisation, administration, property, accounts, management and methods. It is based on the principles of transparency and cost-effectiveness, as well as efficiency and effectiveness. 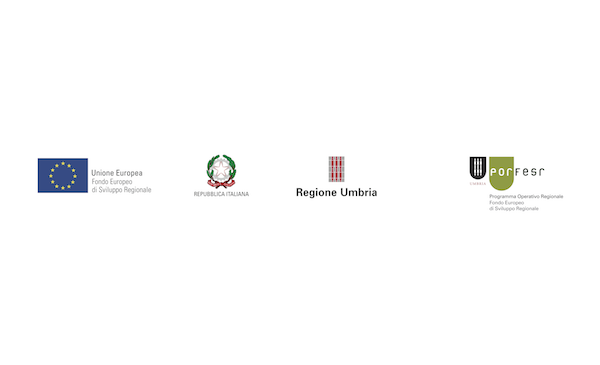 To manage and promote the tourist destination of Puglia as an integrated and flexible unit of tangible and intangible values, by working with different integrated and organised entities to develop balanced and sustainable tourism. If tourism is a bridge between people and cultures, a union of human beings and cultures, an opening that understands differences and innovation, then Puglia wants to be a model of expert, knowledgeable and responsible tourism, because it respects human beings, nature, the environment and the rules and regulations that govern the sector. The Agency’s vision focuses on leading Italian tourism and believes that the competitive value and image of Puglia as a destination is based on the many facets of its regional identities, on the integration of the actors involved, on the quality of the countryside and environment and on the friendly and healthy local resident communities. Umbria is the perfect destination where to spend your holidays. Nature and parks, cities rich in art and culture, outdoor sports, along with internationally famous events and its food and wine will make your stay unforgettable. Umbria is a land of balance, able to assemble a thousand facets and a thousand different souls into a single fresco, a blend of man and nature, intense spirituality and secular pride. Every location has a unique identity, the result of millennia of civilisation that have left dense layers of memory and timeless masterpieces throughout the land: Umbrian, Etruscan, Sabine and Roman first and the extraordinary period of the Middle Ages, and then the Renaissance. The rural ingeniousness patiently chiselled the environment, reclaiming land, tilling and planting olive groves and vineyards that not only produce prized oils and wines but have become the symbol of the region. Dotted with medieval towns and silent hermitages, the Umbrian hills offer fascinating sceneries. In Umbria you need only travel a few kilometres to discover places of unspoilt wilderness, with centuries-old beech woods, deep caves, and mountains popolate by ancient legends. 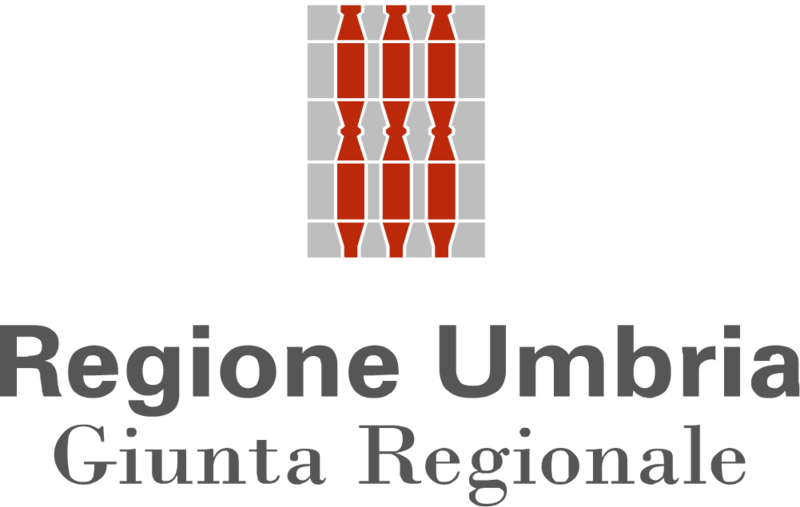 And Umbria is also rich in water: it rises in springs and mountain lakes, runs in rivers that carve impressive rocky gorges, and broadens out into wetlands and man-made lakes that are magically transformed into nature reserves. Lake Trasimeno, the gentle flowing of the Tiber, and the leaping falls of the Cascata delle Marmore all seem to have been created intentionally to inspire poets and painters. We think our hotel partners are awesome, so we work tirelessly for them to discover their full potential. We do this by helping them regain control and earn more through their direct channel with our comprehensive expertise and award-winning product and services. It’s the main reason why each and every one of us at Roiback comes to work every day and what our hotel partners experience across our services and operations. We work with you to get to the nitty gritty of your business. This allows us to design custom-made solutions that deliver tangible results and provide a real answer to market demand. Specialists of software and business processes of the hospitality industry, we allow our customers to dedicate their time only to the care of their guests. Our customers are always in the focus of our attention: since we meet them to understand how they want to improve their processes and management systems, when we personalize software for them, during staff training, to 24-hour support, provided by people coming from hotels. Hotel chains, hotels, villages and SPAs benefit from the innovations offered by our international software solutions, in the office or in mobility with tablet and smartphone, on-premise or in hosting: protel PMS centralized and integrated with OLTA and GDS, CRM to stimulate demand and Increase bookings, catering software, SPAs and thermal centers, AFC and management contorl with USALI, business intelligence for data analysis.With offices in Padua, Barcelona (E) and Innsbruck (A), expertise in software, hardware and system platform, hosting services and cloud computing, we are the partner to be responsible for the entire information system. In an age of rising choice and accessibility for curious travellers, SiteMinder is the name synonymous with the belief that technology can empower any hotel to win in a consumer-led world and unleash their potential. 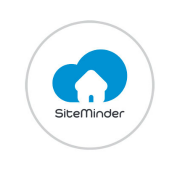 SiteMinder is the global hotel industry’s leading guest acquisition platform, ranked among technology pioneers for its smart and simple solutions that put hotels everywhere their guests are, at every stage of their journey. It’s this central role that has earned SiteMinder the trust of more than 30,000 hotels, across 160 countries, to generate in excess of 80 million reservations worth over US$26.5 / A$35.8 / €23.6 / £20.4 billion in revenue for hotels each year. For more information, visit www.siteminder.com. 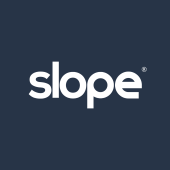 At the base of the Slope software is the intuitive and powerful management of crucial aspects such as accommodation and rates, stored archive files and ISTAT, availability on OTA channels, electronic invoicing and every aspect of the management of your hotel. You will be able to monitor your facility wherever you are and via any device, either desktop or mobile. At your disposal an effective planning in which it will be easy to observe and book reservations and closures. Simplify the management of your hotel with Slope! Travel Appeal is a B2B startup specialized in Data Science and Artificial Intelligence at the service of the Travel Industry. 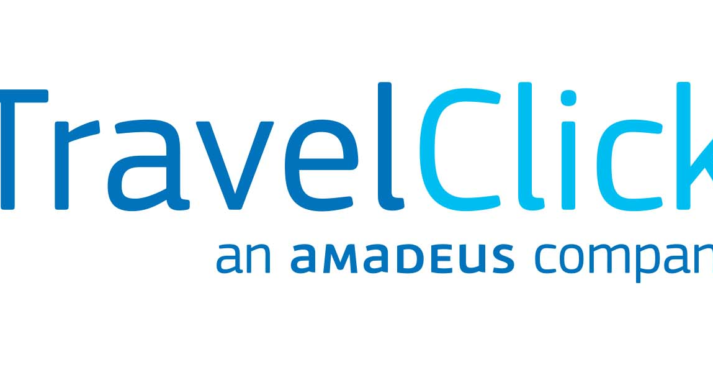 Travel Appeal collects and analyzes online data from the travel sector in real time. Through an Artificial Intelligence system, they are able to transform the data into practical advice for operators and destinations to make more effective decisions and improve their digital positioning, with a consequent positive impact on turnover, management of priorities and business operations. 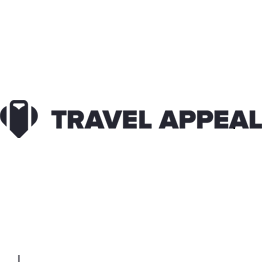 In addition to data, reports and research, Travel Appeal provides an entire ecosystem of products for businesses of all sizes, from individual structures (hotels, B&Bs, campsites, restaurants, museums) to groups, chains, consortia and territories (DMO, DMC, tourism agencies). Travel Appeal monitors the data of over 1 million properties annually between hotels, restaurants, museums, attractions, retail shops and entire destinations. Founded in January 2014 by Mirko Lalli with the support of H- FARM, Travel Appeal now employs a team of 30 people. They have two offices in Italy – one in Treviso, the entire Campus of H-FARM and one in Florence – and two abroad, London and Amsterdam. WE ARE ALL ABOUT MAXIMIZING REVENUE FOR HOTELS. Our data-driven solutions enable over 38,000 hotels around the globe to know, acquire, convert and retain guests. Knowledge is at the center of everything we do. We provide you with actionable insights to know the marketplace and your guests which will improve your ability to compete and drive better business decisions. Our suite of solutions are uniquely interconnected and mutually supportive, working together to improve your performance. Wi-Fi Hotel is the most advanced and widespread Wi-Fi management and marketing automation platform for the hospitality industry. With 10 millions yearly users and over 2500 installed systems in Italy and abroad in independent hotels, hotel chains, resorts and campgrounds, Wi-Fi Hotel represents the state of the art in the field of digital services for the hospitality sector. Wi-Fi Hotel allows any type of accommodation facility to provide guests with the best Internet access service they can expect, featuring ease of access, convenience of use with any device and maximum performance. 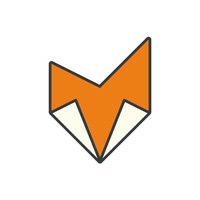 Alongside, the platform can transform any existing public access Wi-Fi network in a powerful communication, interaction and marketing tool, enabling innovative features for promoting the business and its services, maximize customer loyalty and increase the web reputation. Wi-Fi Hotel is developed by Nexis srl. The platform can be enabled over existing Wi-Fi networks or integrated into customized turnkey projects.